Harvest Baptist Bible College exists to glorify God by training students to develop a heart for God through a Bible training program, designed to prepare future ministers, and trained laymen for the local church work. By emphasizing the diligent study of Scripture in classes and chapels, we hope to change the beliefs of the students. Changed belief is the tool God uses to change behavior. The "sound doctrine" of God's word (2 Timothy 4:3) leads to sound, spiritually-healthy living. If a student would like to attend HBBC, he or she must provide a testimony of salvation and a pastoral recommendation. 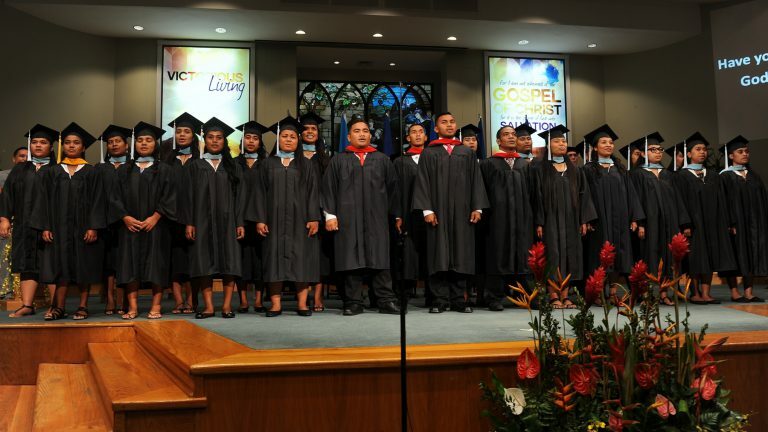 This is one of the many ways Harvest Baptist Church partners with missionaries to train the next generation of Christian workers in Micronesia.